Blue-ray disks may help improve the performance of solar cells, suggest the findings of new study. Since blue ray disks contain data at a much higher density than DVDs or CDs, the quasi-random pattern used for storing data along them can be transferred to the solar cell surfaces which, it is hoped, can help improve the light absorption and performance of those cells. 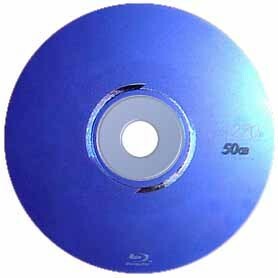 This path breaking study suggests how old and discarded blue ray disks can be put to use effectively. So whether the old, useless blue-ray disks rotting in your attic are comedies, family dramas or action packed thrillers, they can all help you enhance the performance of your solar panels by providing just the right texture to increase the light absorption and performance of these cells. “We found a random pattern or texture does work better than no pattern, but a Blu-ray disc pattern is best of all,” said Huang. “The big surprise is that the pattern worked so well,” Huang told Live Science. Earlier, very expensive techniques had to be employed for creating quasi-random patterns which would suit solar cells. This big handicap had been a big hindrance in the way of their mass production. This inexpensive and easy solution could help popularize them in a big way now. If “random pattern” is what they’re looking for, why not use atmospheric static? The technology to transcribe that into letters/shapes has only been around since the end of WW2. This article is a fake. What lab did the research? In what nation? When was the news release issued? This is just click bait. The discs are still useless. It is the pattern that may be helpful if applied to panels or cells. Old, useless blue rays? I think they are about 7 years early on this.